I received a little postcard from the IRS a couple of days ago informing me that they once again expect me to pay my taxes this year. I was hoping that with all the hoopla in Washington over the past election, the fiscal cliff, and the gun-control debate that they would be distracted and forget all about sending me my tax bill. I’m sure that happens all the time! So I guess I’m going to do my taxes again this year, and I assume my timetable will be the same. At some point in March, I’ll go to Sam’s and buy a copy of TurboTax. On April 14, I’ll finally get around to tearing the shrink wrap off of TurboTax and install it on the computer. On April 15, I poke around in the software long enough to figure out how to print an extension from. Then I'll put off doing my taxes until August 15. My natural tendency to procrastinate when it comes to doing taxes is actually a matter of theology. On the one hand, there is a Biblical example of catching a fish and looking in its mouth for the money to pay taxes (see Matt 17:27). So God wants us to go fishing rather than pay taxes, right? Also, the Bible clearly says that Jesus could come back unexpectedly at any money, and who wants to go to heaven paying taxes that they could have put off? Actually, the real reason that I put off doing my taxes is because I am by nature a procrastinator… but I put off admitting that! This human tendency to procrastination is likely one of the reasons why God did not share with us the time of Jesus' return. 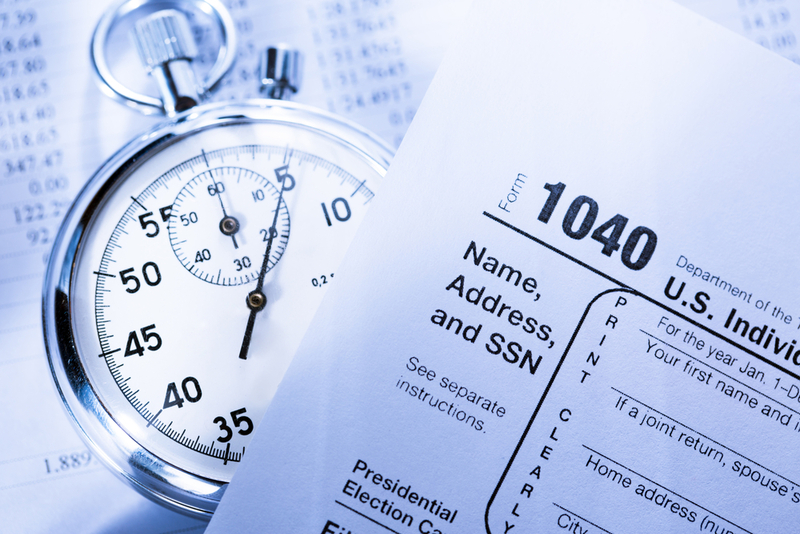 We know when tax returns are due, and we put them off until the last minute. So if we could read the tea leaves and figure out the exact time of Jesus’ return, what would we do? You know what we would do-- we would put off doing what we need to do in order to get ready for his return. In our reading today from Matthew 24, Jesus makes an almost offhand comment to the disciples about the coming destruction of the Temple (Matt 24:2). They asked, "When will this happen, and what will be the sign of your coming and of the end of the age?" (Matt 24:3). Jesus gave them some signs that clue them in on the coming fall of the Temple (and Jerusalem). Most of what is said in this chapter applies to the destruction of Jerusalem under Vespasian and Titus in AD 70. In fact, Jesus assures his audience that many of them would still be hanging around when all of those things took place (Matt 24:34). Well, this is bad news for us last minute procrastinators, right? There will be no putting off getting ready for Jesus’ coming until the last minute because we have no idea when that last minute will be. Jesus might return in a million years, but then He might return before I can hit the send button on this blog. We don’t know, except that He will come at the time when we least expect Him. So the only way for us to be ready for the coming of our Lord is to live ready every day. And that's the point-- we have to be ready all the time because he might come at any time.